In an attempt to choose a flight back down to Patagonia this year, I have been getting so excited! The photos have been revisited for inspiration, the old friends in El Chalten contacted and primed for good times to come. And in this I realized I never summed up my last season here on my blog. The whirl wind of my life kept raging after the summit of Cerro Torre, not a moment to post photos and tell the story, and all of a sudden it is time to go back. Here is the recap to inspire us all for the season to come! 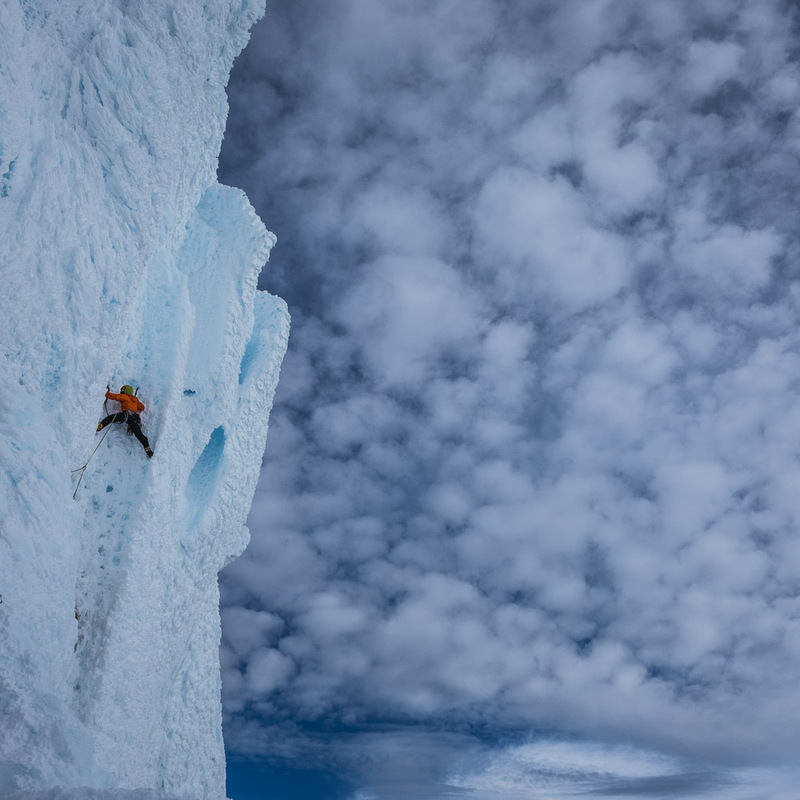 The summit of Cerro Torre, a place I never imagined going. And to see Fitz Roy glowing. I had just been there too. What a huge year. 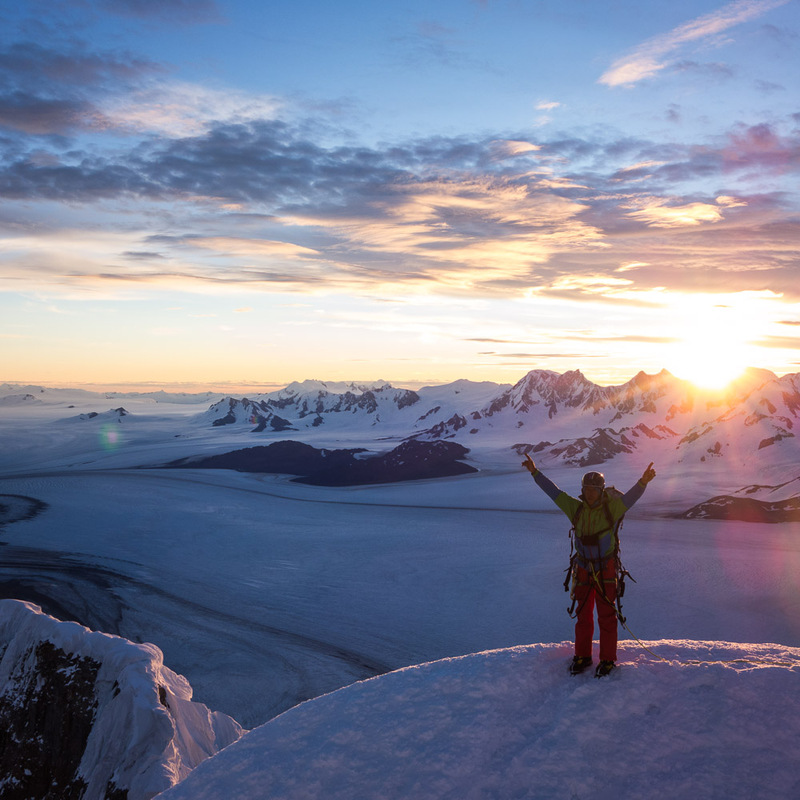 The 2013 Patagonia season was mind blowing. Madaleine Sorken and I flew down to El Calafate together in early January and settled in to my favorite Argentine town, El Chaletn. 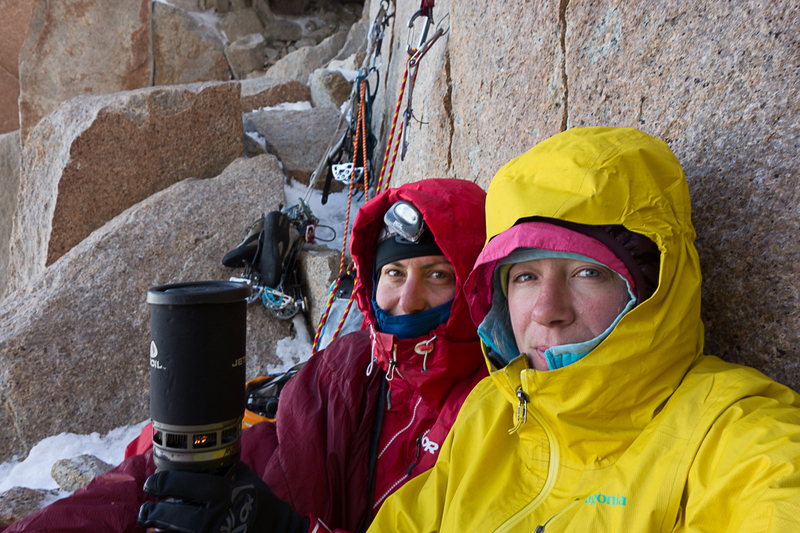 It was perfect timing to hike a load to a base camp in really nasty weather, and then a perfect forecast allowed us to climb “Mate, Poro y Todo lo Demas” on the North Pillar of Cerro Fitz Roy. It was a pretty big climb for us! Madaleine Sorken and I woke up cold together on a tiny little ledge on January 14, 2013. A perfect forecast, burr freezing. 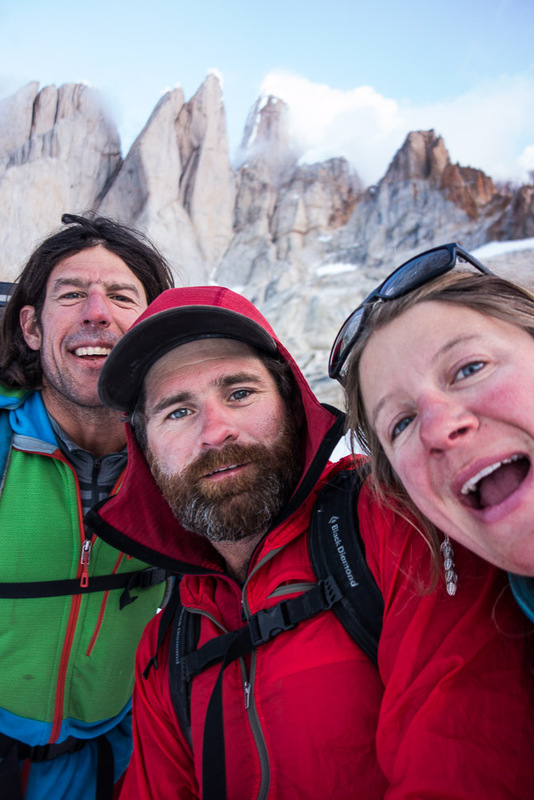 This was only Madaleine’s second bivi ever in Patagonia, the second on this route. The Mate Poro y Todo Lo Demas route was a perfect choice for us, excellent steep rock climbing with very little icy terrain. We were thrilled to stand on top at a very respectable hour of 7pm! 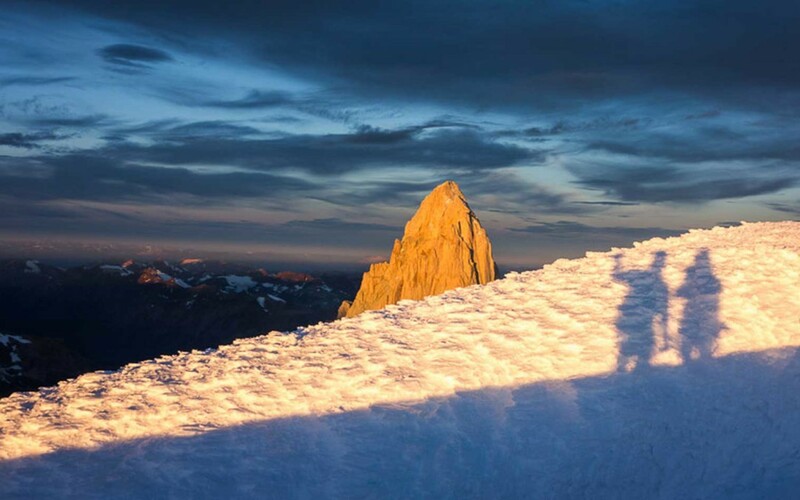 Madaleine stands proud on the summit of Fitz. The Torres dominate the back drop! This was the nicest day I have ever summited anything in Patagonia! Mad wanted to sleep up there, but I said ‘hell no!’ I was too afraid weather would come in fast, so I forced us to rappel late in to the night. We headed down pretty happy. I had been quite scared the entire time. I felt great responsibility to keep us safe in this wild mountain range I know well enough to know how gnarly it can be. La Silla, a wild place to be. Fitz is looking blustery I’m glad we were headed down not up. The next morning we awoke to great wind pushing clouds like streamers up the face of the mountain. We kept descending, it was beautiful and harsh. 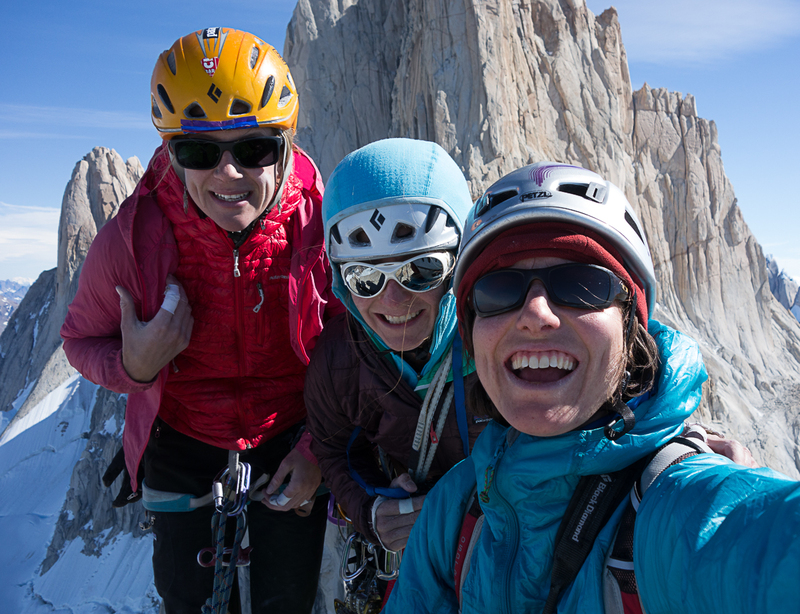 We walked in a dream state, so proud to have been the first female team up the North Pillar. As we arrived in town we took a few seconds to celebrate with some vino tinto. 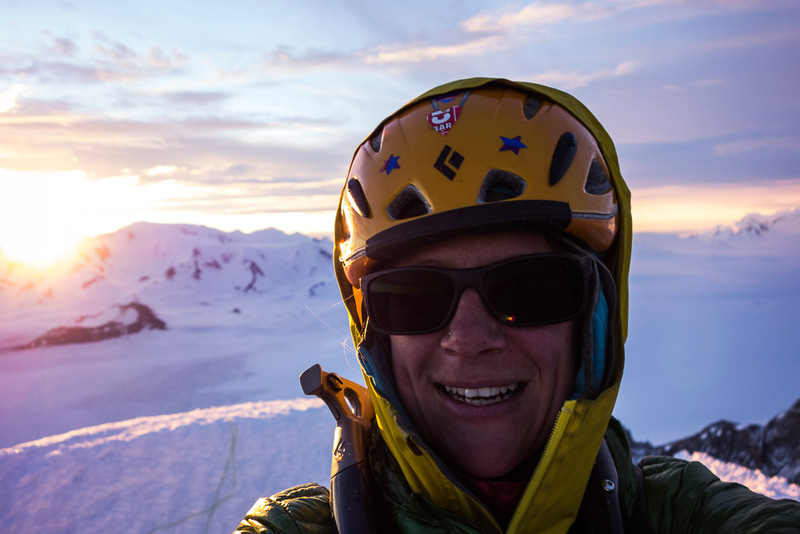 But the forecast inspired us to head strait back to the hills, this time with a third chica, Lisa Bedient. 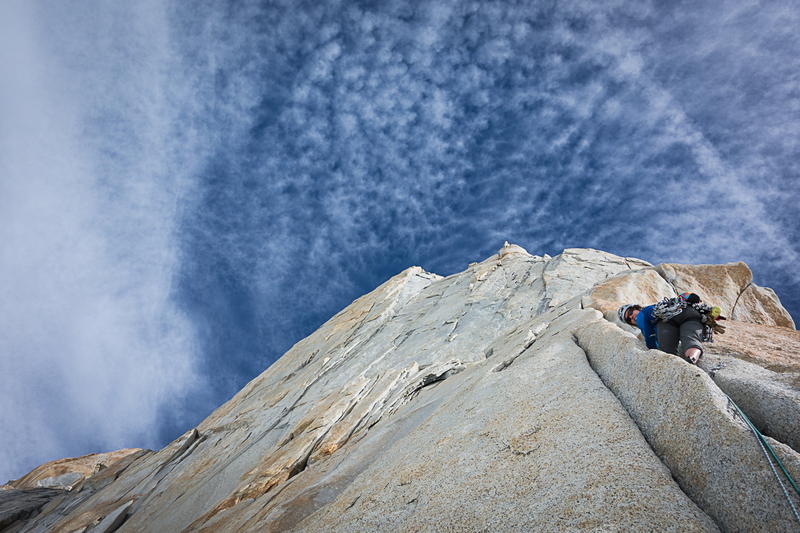 The Red Pillar (5.11+ ) of Aguja Mermoz has always been a dream of mine. Madaleine and I giggled as we freed the perfect hand cracks. 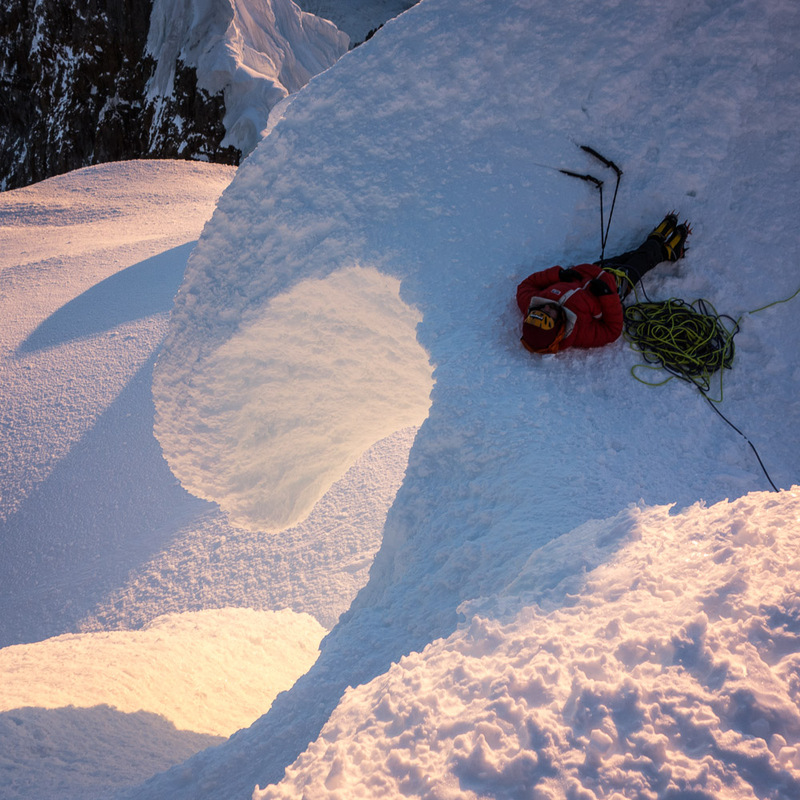 The occasional crimper and steep under clings felt exciting in the alpine environment! 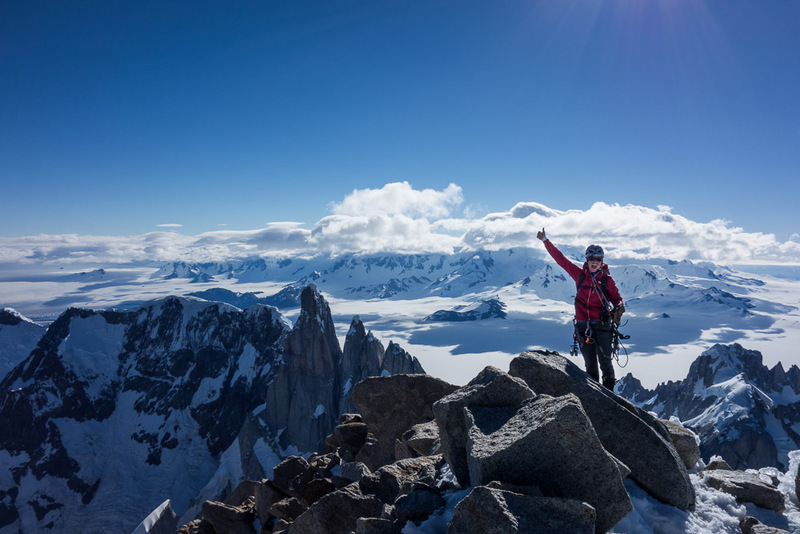 It was pretty off the hook being on the summit of Mermoz, it was a huge goal for me to climb all the summits in the Fitz Roy sky line, and this was my last one. I felt proud to share it with two beautiful ladies and some huge Andean Condors! I was exhausted after that, I caught a cold, and Madaleine climbed Aguja Rafael before she went home. 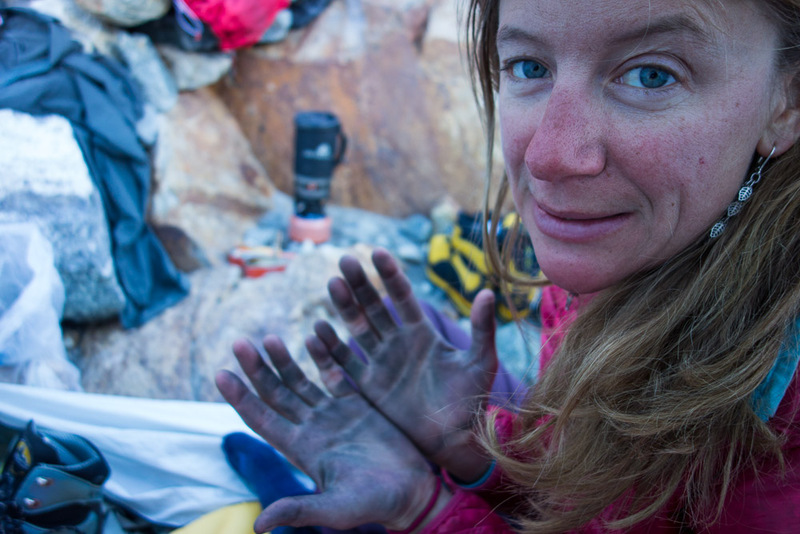 The last month of my time there was pretty stormy, we did a quick sunny climb of El Mocho. 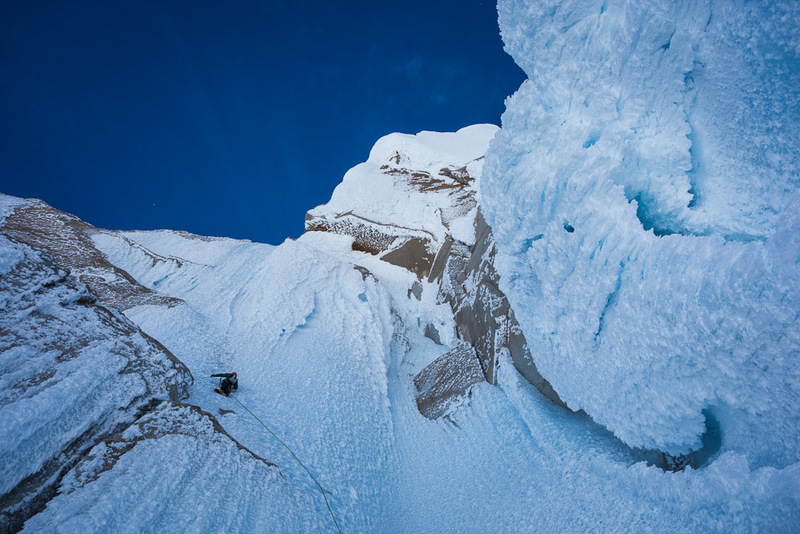 And then for the grand finally Mikey Schaefer, Josh Huckabee and I climbed Cerro Torre, which I never ever though I would have interest in. But I feel so lucky the Ragni route up the West face was in good enough condition for me to see that wild side of the world. It was like the moon up there. So harsh and beautiful. Mikey leads the head wall. Yikes. 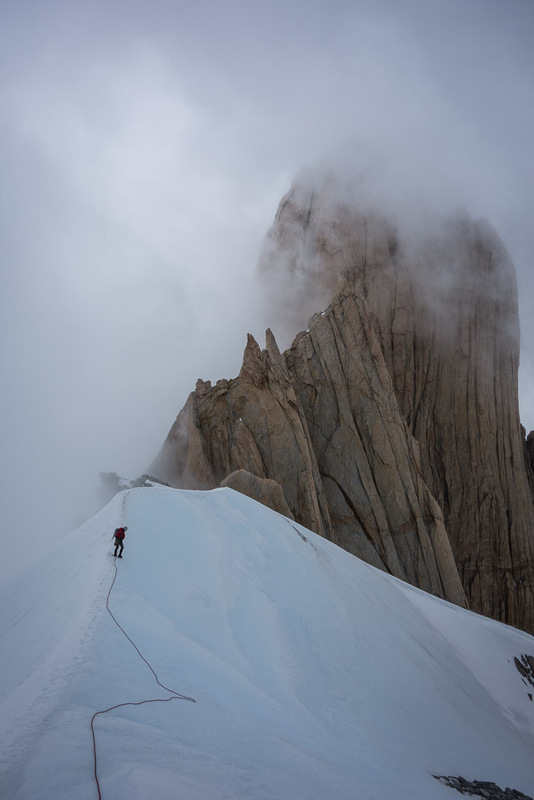 Cerro Torre is a wild moonscape of rime mushrooms. One tired Mikey on the Summit of Cerro Torre. His ice prowess was put to the test. What a rope gun! Really big smile on my face. Sure was a fine view out over the ice cap from the top of that pointy spire! Last one I swear. The rad Ragni Route team! Josh Mikey and I were so happy to be down on flat ground. Whew what an adventure. Ok off to buy a ticket!